I’ve always been a fan of regular old broccoli and I usually stick with the same boring method– salt, pepper, drizzle of olive oil and bake. 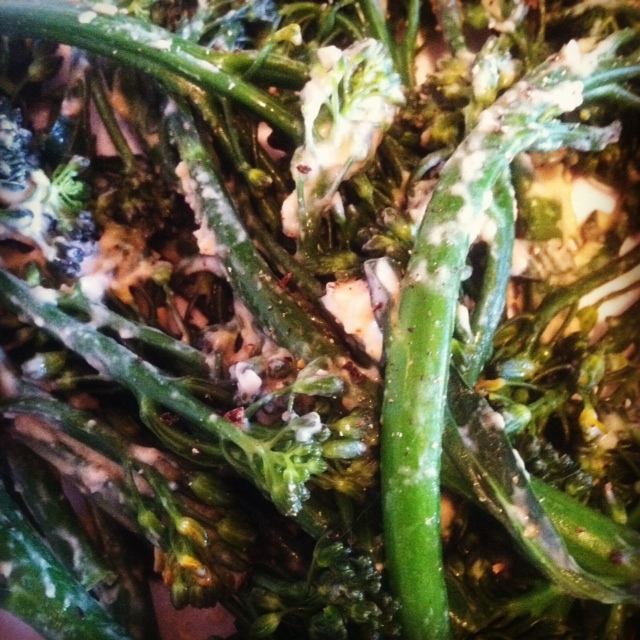 But my goodness have you tried broccolini? It’s amazing. I would describe it as a cross between regular broccoli and asparagus. It has florets that are a little smaller than regular broccoli and longer, thinner stalks. It’s also very high in Vitamin C– added bonus, right? So anyway, I was thinking about ways to make a creamier, richer side that I could substitute in place of a starch all together. The answer is hummus. It’s the perfect consistency and there are so many varieties out there that you can have a little fun experimenting. For this recipe I decided not to go too crazy and opted for a simple garlic hummus. Note: This side can be served hot or cold. I usually make a little extra for the fridge. It tastes great the next day!